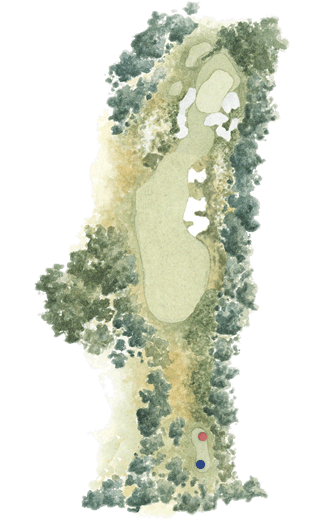 Like the sixth hole, the short par four fifteenth hole has recently undergone some changes firstly in 2004 then further alterations again under the guidance of Tom Doak. Heathland and new bunkering down the right hand side encourage golfers to keep their tee shots away from the boundary fence. The bold player can still drive the green. Shorter hitters can take the conservative line left from the tee and pitch simply onto the green that has been orientated to the left to make play from the left easier.